Houston is known to be a commuter city: we drive to school, drive to work, drive to shop, drive to parties... we drive EVERYWHERE. Sometimes you need to sit back and relax and let Houston Limousines take you to your destination in style. We want to make your journey hassle free and infuse it with our luxurious selection of vehicles to make every ride a memorable one. 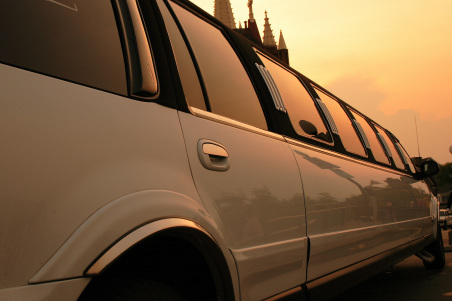 Whatever you have coming up, a wedding, a bachelor/bachelorette party, prom, an executive event, or just an impromptu fun ride with friends, we want to provide you the best service. 1. Customer satisfaction is priority #1: Satisfaction of our customers is not something we deal with passively. Our two prone approach involves actively engaging with our customers to understand their needs, and with our chauffeurs to understand service trends. If you're not constantly learning, you're not growing. If we're not constantly thinking of ways to improve our services we are not doing you justice. 2. Flexible, competitive, cutting edge: Our selection of fleet and the relationships we have built over the years with our clients, employees and chauffeurs, has enabled us to provide a service that will redefine the meaning of serendipity. We separate ourselves from our competition by not looking for ways to cut corners to give you the lowest price, but by investing in our services from the moment you request for a quote, till we have safely dropped you at your destination. They are our representatives to you, performing the service you paid for, and we wouldn't want to tarnish our reputation by hiring just anyone to fill an open position. 4. Tailored solution: We provide a range of services and while discussing your need we will always suggest to you the different options you have and come up with a solution together. If you have a custom event or a request not listed here, don't hesitate to ask what we can do to help. We will find a way. 5. Sustaining partnerships: Serving in the Houston area, we have worked with many companies over the years and have partnered with some of the major players in the city. Becoming their go-to partner for all their limousine needs and being able to build and nurture these relationships is what we pride ourselves on. Any other excuse for a limo! We've got you covered. Call us today and let us show you how we do limousine service.